Introduction: This instrument is designed according to the DuPont company standard, America CMA2004-04 and Britain BS7069 standard. 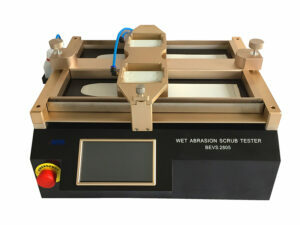 It is widely used in the handle and ear abrasion resistance test of kitchen ware products. 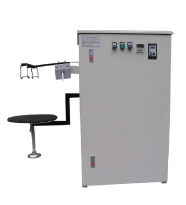 Support table can lift flexibly, the jig can be adjusted freely with the humanization design,which is helpful to fix the product tightly.